In a speech to a conference in Paris organised by French business organisation Medef, Scottish Government Business and Constitutional Relations Secretary Michael Russell invokes the Auld Alliance, General Charles de Gaulle and other historic links between Scotland and France as he urges the two countries to maintain a good relationship despite “the difficulties being put in our way by those who are looking inwards and backwards”. I am the member of the Scottish Government responsible for Scotland’s response to Brexit – a policy we didn’t vote for, don’t want and believe will be disastrous. I am tasked with negotiating with the UK Government, representing our views to the wider world, formulating our strategy going forward and listening to businesses, communities and individuals as they fearfully cast their eyes forward to March 2019 and beyond. And my job is probably the least envied in Scotland. Of course Scotland and France enjoy close ties which go back centuries – ties of friendship, culture, security, trade and commerce. Voltaire once claimed that Europe looked to Scotland for “all its ideas of civilization” and although that might be an exaggeration we have learnt from each other for a long time. The Scottish Enlightenment was just one of the glittering periods in which we exchanged ideas and influences, many profound and some surprising, like the importation of the French recipe for pink ice cream by one of our most influential philosophers, the great David Hume. Our most famous writers – like Burns, Stevenson and Scott – looked to, were also influenced by and frequently visited France. That continues today with my friend the best-selling thriller writer Peter May now a French citizen with a huge French following. And MacPherson’s poems of Ossian – the European literary phenomenon of their time – were in Napoleon’s tent on the eve of Waterloo. In an earlier time, we even shared citizenship, and a monarch, for Mary Stuart was Queen of France before she was Queen of Scots and her mother-in-law was the regent of Scotland during a very turbulent period. Our students studied at your universities and we even fought in your wars as mercenaries. More peaceably, the French consulate in Edinburgh is the oldest of its kind in Scotland. History is important – but the present day allows all of us to join in. We have living cultural connections. Last year was the Annee de L’Ecosse at Lorient in Brittany. This year, France has made a major contribution to the Edinburgh festivals – for example through the “vive le Fringe” programme at the French Institute. And, of course, our business links are vital. France is Scotland’s third most important export destination. In recent years, you have been our largest European inward investor. French businesses employ more than 20,000 people in Scotland. Scotland benefits hugely from the fact that 10,000 French citizens currently live in Scotland. They contribute hugely to our economy and culture and our society. In the last session of our legislature, one was even an elected member of the Parliament – and for my party. So for all these reasons, it is a pleasure and an honour to speak to all of you today. My basic message is a very simple one. We in Scotland hugely value our relationship with France, and we want it to go from strength to strength. We see collaboration and trade between Scottish and French businesses as a key part of that relationship. We don’t want to exit [the EU] – we want to intensify our connections. It follows from that, that much of my speech will be very positive. However, Brexit provides a difficult and depressing context to my remarks. And so, almost inevitably, I want to start by addressing that. In 1999 the Scottish Parliament was reconvened for the first time since 1707 – the longest adjournment in history. In its modern incarnation, it was brought to order for the initial session by its oldest member, the great Scottish politician, Winnie Ewing, who was known at home and abroad as “Madame Ecosse” because of her reputation for fighting tirelessly for Scotland’s interests during her long tenure as a Member of the European Parliament. The Scottish Parliament that exists today has wide powers related to the economy, business, education, health, justice, rural affairs, housing, environment, equal opportunities, culture, transport and taxation. And although we do not yet control all aspects of our lives, given our history and our current activities, no-one disputes that Scotland is a proud European nation. Scotland did not vote for Brexit. We voted to remain inside the European Union by 62 per cent to 38 per cent. Every local authority region in Scotland voted to remain. In 2016 at the time of the European referendum we believed that Brexit would be deeply damaging: we believe that even more strongly now. That judgement is based partly on our shared values. We welcome the opportunities for international co-operation that the EU brings. For us, there’s something highly appealing about the principle of 28 independent countries working together to promote peace and prosperity no matter how hard that can be. It’s also about standards – we have no interest in a race to the bottom on opportunities, the environment or social protection. It’s about the benefit of free trade and free movement. At it most fundamental, it is about peace and prosperity, prizes hard won in the second half of the 20th century and hard to keep hold of in the 21st. All these things are not to be lightly thrown away in pursuit of a fiction and a fantasy. And of course, it’s about the economy. As many of you will know, the UK Government last week published the first of three tranches of advice for businesses on what to do in the event of a no-deal Brexit. Among many things, these technical notes highlighted that medicines may need to be stockpiled; that all UK exporters are likely to face increased bureaucracy; and that for imports, the UK will probably have to unilaterally recognise EU standards anyway. None of those things were amongst the promises made during the EU exit campaign in 2016. All of them testify to the uncertainty and insecurity which now surrounds the process. Those notices also provided the clearest picture yet, of how much we take for granted about our EU membership – and how much we stand to lose. Now, a no-deal Brexit is the worst-possible outcome, of course, and is hopefully still unlikely although the more the UK Government uses it as a stick to frighten the most extreme Brexiteers, the more likely, paradoxically, it becomes. And the more likely it becomes too if the UK Prime Minister, as she did today, talks about being able to “make a success” of such a disaster. Perhaps this approach is also being used to make the existing proposals from the UK Government look more acceptable – though that is only by comparison with the disaster of a no-deal scenario. For the new ideas from the UK Government are as unacceptable to Scotland as the old ones. Our position as a Government on the choice that the UK should make is simple. Our first choice would be not to leave. But the compromise we have repeatedly advocated, recognising that other parts of the UK did vote that way – though they might not in a future ballot if opinion polls are accurate – is one that is still on offer and which has increasing support across our islands. We believe that if the UK Government is determined to leave the EU, it should at the very least seek to remain a member of the Single Market and the Customs Union, most likely by remaining in the European Economic Area, the EEA, by means of EFTA membership. There is a strong democratic argument for that sort of compromise approach – after all, 48 per cent of those who voted in the 2016 referendum wanted to remain in the EU, including the majority of people in Scotland and Northern Ireland and in London. There is also an overwhelming economic argument for this solution. In addition it provides a tailor-made solution to the Irish border issue and it avoids the customs arrangements proposed in the UK Government’s most recent White Paper, which are complex, unprecedented and may well be impossible. The UK Government has repeatedly, of course, ruled out Single Market membership though it has nothing to put in its place. But in contrast the Scottish Government has been consistent in its advocacy of the Single Market and Customs Union position for the last two years and it is a position that now commands wide support in the UK and indeed probably in the UK Parliament as well. We believe that such outcomes would still be achievable – especially with the help, direct or indirect, of European friends such as yourselves. And we believe that this would be the best outcome for Scotland, for the UK as a whole, and indeed for Europe. However, I want to assure you that regardless of the outcome of the Brexit negotiations, Scotland will continue to be an outward-looking, open, internationalist country. That means we will continue to take a keen interest in European issues - arguing alongside President Macron for a Europe which addresses effectively the key transnational issues of our age and is of continuing relevance to citizens. And we will continue to encourage trade, inward investment and international collaboration. Scotland benefits hugely from all of those at present – and other countries, businesses and universities benefit from working with us. After all, we have a highly skilled and well-educated workforce (one of the best educated in Europe according to the OECD) a supportive public sector, and a world-class research base. I am proud to say in this place of learning, and as a former Scottish Education Minister, that Scotland, with five of its 19 universities in the world’s top 200 has more world class universities per head of population than any other country in the world. We also have strengths in key economic sectors from sensor systems and advanced manufacturing to life sciences and business services. That’s why Scotland, in recent years, has become the most successful part of the UK, outside of London, for attracting inward investment. What’s especially striking to me, at this particular conference, is the number of areas in which Scotland’s strengths overlap with areas where France also excels. Food and drink is a long-established example. France is Scotland’s largest European export market for food and drink sales, and French companies such as Pernod & Remy Martin are major employers in Scotland, not least in the area I represent in the Scottish Parliament, the whisky-producing islands and coasts of Argyll & Bute. France is of course the single largest export market in Europe for that whisky. Your discerning palate , not to say your great thirst, is something for which my constituents remain very grateful. We also share capabilities in much newer sectors. Events such as Vivatech demonstrate how successful France has been, in recent years, at becoming a major centre for technology businesses. Scotland – inevitably on a smaller scale – is also enjoying huge success in that area. Our cities are becoming established as major tech hubs – companies like Skyscanner have been major success stories in recent years. That’s partly because of the quality of our university research. Edinburgh University’s School of Informatics is ranked as the best of its kind in the UK. And the Scottish Government is also promoting new industries such as fintech, and we have invested in The Data Lab – an innovation centre which brings together government, university researchers and businesses. 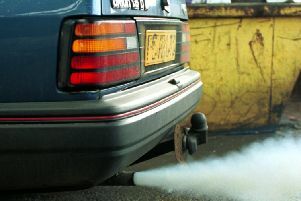 Low-carbon technology is another example. I was very struck last year by your Government’s appeal for climate change scientists to come and work in France. That national ambition – of attracting talent from around the world to work on reducing and mitigating climate change – is one we share in Scotland, where we passed one of the first, and most radical, climate change bills in 2010. We now generate almost 70 per cent of our gross electricity demand from renewable sources. The waters around Scotland are currently home to the world’s most powerful offshore wind turbines, and the world’s largest tidal stream project. In promoting our low-carbon sector, we welcome collaboration with, and investment from, organisations across the globe. These are often multinational partnerships – such as the one involving Norway’s oil company, Equinor, which has invested in the world’s first floating windfarm, now off Scotland’s shores. And your EDF is already a significant investor in Scottish offshore wind projects. Scottish and French researchers and businesses are already working together on important renewable energy projects. For example we participate in EnFait – a research and development project for tidal energy, which is led by Nova Innovation in Scotland, and has important French partners. It’s the sort of collaboration – in a hugely important field of energy research – which is potentially beneficial, not simply to France, Scotland and Europe, but to the wider world. Because Scotland benefits so much from trade and investment – and because we believe we have much to offer to international partners – our response to Brexit is to try to increase, rather than reduce, our connections in Europe and across the globe. We recently launched a major promotional campaign overseas – Scotland is Now. Scottish Development International – our overseas enterprise agency – is doubling the number of people it employs on mainland Europe. We are also opening government offices in key European cities. Our Dublin and Berlin offices have already opened. Our Brussels office has been expanded as has our London presence. And we will formally open a new office in Paris early in the next year – building on the success of SDI’s existing presence there. In doing that, we are making it clear that Scotland remains an open, outward-looking, internationalist country. And we are making it clear how much importance we attach to our friendship with France. We are not exiting – we are staying and expanding. On 23 June 1942 – by coincidence exactly 74 years before the Brexit Referendum – General de Gaulle opened a Free French House in Edinburgh, now the home of the French Consul General. In the midst of this very testing time for Scotland, those links – and that “Auld Alliance” as we call it in Scots – still leap to our minds and we hope to yours. When you look at our existing connections, and when you see how much common ground we share – our passion for excellence; our commitment to low-carbon growth; our determination to become world leaders in technology; the excellence of our universities – then I believe that our relationship will flourish still further in the years ahead despite the difficulties being put in our way by those who are looking inwards and backwards, not outwards and forwards. For all of these reasons, I am delighted to be here today. I hope to see many of you in the future – first of all in Rue d’Anjou when our office in Paris opens. And I look forward to many more years of successful cooperation between our two countries – the ancient, friendly European nations of Scotland and France.